Why don't you put down that phone, turn off that tablet, switch off the television and do something less boring instead? 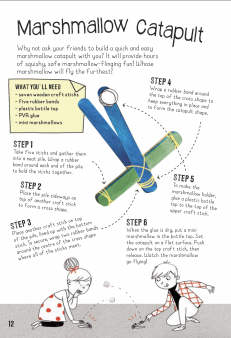 Make a marshmallow catapult, create your own fingerprint kit, prepare a tornado in a bottle and amaze your friends with rainbow bubbles – just four of the electronics-free ideas in 100 Screen-free Ways to Beat Boredom! It's all too easy for children (and adults!) to be captivated by digital delights – but screen-free stimulation is a low-cost, high-impact solution to "boring" free time, and promotes face-to-face interaction, family time and imaginative play. In this extract from 100 Screen-free Ways to Beat Boredom (£9.99, QED Publishing) we suggest a few creative new activities for your child to try. Click on each image to download a printable page of instructions and "ingredients" for your screen-free fun. Who wouldn't want to fling marshmallows? You could try to get a mini-marshmallow straight into a waiting mouth! 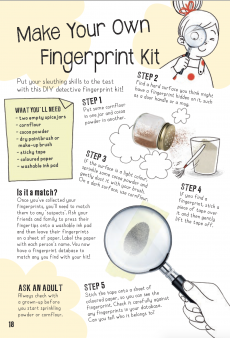 Put your sleuthing skills to the test with a DIY detective kit. 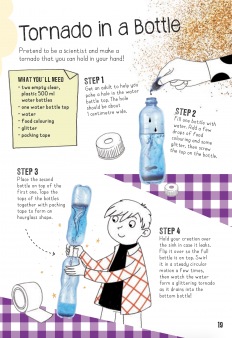 A tornado you can hold in your hand? Yes, really! 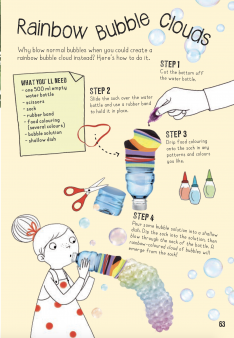 Why blow normal bubbles when you could create a rainbow bubble cloud instead? Here's how to do it. The ideas above are extracted from 100 Screen-free Ways to Beat Boredom (£9.99, QED Publishing) by Kris Hirschmann and Elisa Paganelli.